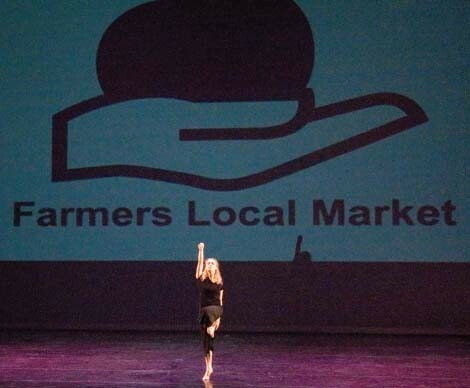 Repertory Dance Theatre’s Green Maps create intuitive layouts of the community. When looking at maps, some simply see static icons. Linda Smith, Repertory Dance Theatre (RDT) executive director, sees a springboard for dance—swirling, moving and alive. After all, that’s what artists and dancers do: create a deeply resonating language by filling a void and transcending life’s ordinary rigmarole. Admittedly, these particular icons are beautifully rendered by Green Mapping Systems (GreenMap.org). Green Maps are a tool for folks to intimately know their community—not only by seeing, but experiencing it, by charting eco-friendly or eco-detrimental points. In using the icons, Green Map makers must register for free, thus joining a resource pool of collective wisdom—more than 600 cities and counties are mapped thus far. RDT wants to enhance it by creating a corresponding dance language for each icon. The idea for a Green Map of Salt Lake County was hatched during planning for the 2002 Olympic Winter Games but died without support. However, Smith knew it would be a perfect fit for RDT. Founded in 1966, RDT is a modern-dance company with an affinity for developing arts-in-education programs—including performances, classes and workshops—to heighten students’ perceptions of art and enrich their lives. So, it’s no surprise RDT is inviting schools, from fourth to 12th grade, to help create the maps. Sure, a few dedicated staff could knock out a map in a couple of months, but, Smith says, for the youth, it’s the process that’s important. When making the maps, students gather firsthand knowledge about each point of interest—for example, green buildings, recycling facilities, mining operations, bike routes, wetlands, justice and activism, etc.—which are matched and labeled with icons and supplemental, written information. As a static map is compiled, it’s eventually printed (RDT hopes to have one within a year or two), with a regularly updated online version. Users of the maps may vary widely—government, locals, tourists, environmental/advocacy groups and more. Additionally, RDT will offer instructional classes on various sustainability components to participating schools, along with teaching the corresponding dance language. Currently, they’ve identified 30 interested schools in Salt Lake County, with continuing efforts to find more. New York City-based choreographer Svi Gothheimer, along with composer Scott Killinan and nine RDT dancers, have helped create the corresponding dance language to, so far, 12 icons. Using those as building blocks, they performed a series of sketches at their October 2009 Elements: Earth, Air, Fire, Water performance. The final “Green Map” dance piece will be RDT’s Spring 2011 performance. 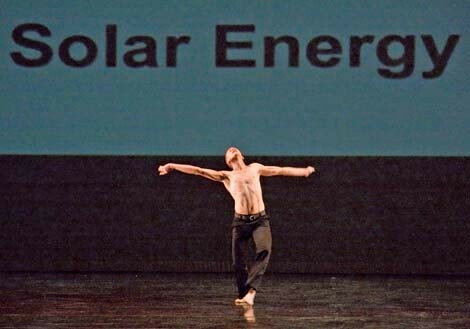 RDT dancer Nick Cenbese was initially assigned to create a dance from the “Wetlands” icon. The result moves from seemingly swatting flies away from his face and ends with undulating arms, as if a pond’s surface were being blown by wind. “Svi wanted there to be a mystery, some ambiguity to what people will see onstage—they can create their own meaning,” Cenbese says. RDT’s goal of incorporating dance into Green Maps creates an opportunity to take something literal and transform it into an esoteric, ephemeral form, embodied in movement, then embedded in participants’ mind and muscles. “The dance side of it gives us an opportunity to reach out to people, giving them a different way to experience sustainable thinking— some people don’t like to think outside of the sciences,” says Cenbese. Smith says theirs is the first Green Map incorporating dance. She demonstrated the dance for “Recycling” at the RDT office. It mimics drinking a beverage, stomping the can flat, picking it up, swiveling the shoulder in a circle, then the whole arm and bringing it around the back, and, lo, emerges another can; the process repeats on the left side. “One of the most valuable ways to extend learning is when [students] put it into their bodies, through movement, dancing, singing, acting or drawing pictures,” says Carol Goodson, fine arts specialist for the Utah State Office of Education, “Plus, it enlivens the spirit.” The office is helping disseminate information about the program to schools countywide. Last year, RDT launched a pilot program at Judge Memorial High School with dance and English classes. English teacher Elaine Peterson participated by assigning her students to research a point of interest within a five-mile radius of the school. Each student wrote a reflection essay afterward and learned several dances. 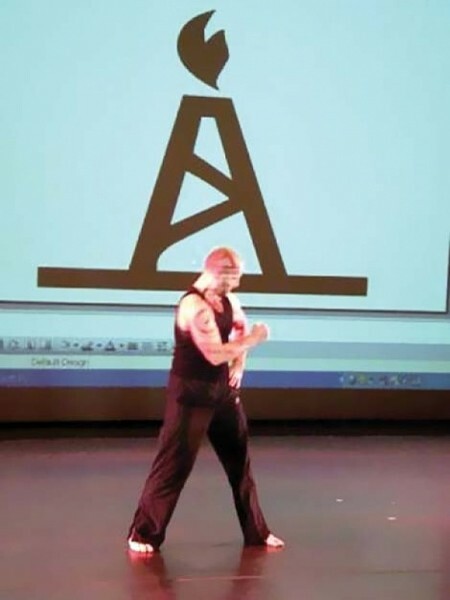 Peterson enjoys and respects the project’s multi-genre approach and would like to see students write and perform essays, poems or narratives onstage along with the movements. “My students actually learned a bit about dance. ... They were able to see how words translate through physical movement, and they loved that connection and the kinesthetic form of learning,” Peterson says.